Tax cuts for the middle class, even minor ones, would imply big declines in revenue. Closing the deficit by taxing the rich would require major tax hikes. With every presidential election comes a renewed debate on taxes. Should tax rates be increased or decreased? Should the rich pay more or less? What about the middle class? Given the candidates' varying tax proposals, now seems a good time to revisit some facts about federal tax collection. The first table provides a snapshot of revenues collected by the U.S. federal government for fiscal year 2016.1 Total revenue was $3.3 trillion, or roughly 18 percent of gross domestic product (GDP). Almost half of this revenue comes from individual income taxes. About one-third comes from payroll taxes, which are collected to fund Social Security, Medicare, and other social insurance benefits.2 Only 9 percent of total revenue comes from corporate income taxes, while another 9 percent comes from various sources (e.g., excise taxes, estate and gift taxes, and custom duties). These proportions have been stable in recent years. Given the prominent role individual income taxes play in financing the federal government, this essay inspects these taxes in more detail. The second table breaks down individual income taxes by adjusted gross income brackets and four categories. The first three are relative to total filings: the share of returns; the share of taxable income generated (note that about one-third of returns report zero taxable income); and the share of tax revenue collected. The final category is the implied average tax rate.3 The data are for fiscal year 2014, the latest available for tax revenue by income levels. Notably, the data do not distinguish between single or joint (filed with a spouse) tax returns. The differences in individual income tax collection at the extremes of the income distribution are striking. Filers earning less than $50,000 annually account for nearly two-thirds of all tax returns but contribute 7 percent of total revenue. Around half of the filers in this group report zero taxable income4; for those with taxable income, the average income tax rate is 12 percent.5 In contrast, filers making at least $1 million annually account for 0.3 percent of all tax returns and contribute 27 percent of total revenue. Their average tax rate—31 percent—is almost triple that of filers in the lowest income bracket. Due to the progressive nature of the U.S. income tax code, average tax rates increase up the income ladder. Each income group's contribution to total revenue, however, depends not only on their tax rate but also on the number of filers in the group and how much income they generate. For example, tax filers earning between $100,000 and $199,999 annually face an average income tax rate of 17 percent but contribute 22 percent of revenue, very close to the proportion contributed by those earning $1 million or more. The reason is that there are many more filers in the former group (12 percent versus 0.3 percent), who together generate about one-quarter of total taxable income (versus 17 percent for the highest earners). These properties of the income distribution have profound implications for the likely effects of tax reform. For example, tax cuts for the middle class, even minor ones, would imply big declines in revenue; and collecting significantly more revenue from the rich would necessitate large tax hikes. To illustrate this point, consider a simple back-of-the-envelope calculation. Suppose the desire is to cover the deficit by increasing the tax rates of the top income earners. The current deficit estimate for fiscal year 2016 is $590 billion. Income taxes collected from filers earning $500,000 or more annually (the top 1 percent) add up to roughly the same amount as the deficit. The tax rate of this group would need to double to collect enough revenue from the group to cover the deficit. Specifically, their average tax rate would need to increase from 30 percent to around 60 percent. A tax increase of this magnitude, however, might decrease the incentives for high-income earners to work as hard and encourage them to seek new ways to shield their income. Hence, in practice, the tax rate may need to be raised further and even then might not be enough to raise all the additional revenue. Individual income taxes only partially reveal how the burden of federal taxation is distributed among different income groups. For low-income earners, payroll taxes constitute a significant portion of tax liabilities. The current Social Security and Medicaid withholding rates are 6.20 percent and 1.45 percent, respectively (in addition, employers must also match these contributions). Thus, the average tax rate faced by an individual making less than $50,000 annually and reporting positive taxable income is 12 percent in income taxes plus 7.65 percent; that is, almost 20 percent of income. Since wages contribute less to total income for higher-income earners, payroll taxes play a less significant role at the top. In other words, payroll taxes are regressive. Note, however, that the benefits they provide are progressive, as-high income earners rely more heavily on other sources of funding for retirement and healthcare (e.g., a 401(k) retirement plan). 1 The fiscal year in the United States begins October 1 and ends September 30 of the subsequent year and is designated by the year in which it ends. 2 Payroll taxes are those withheld by employers and paid on behalf of their employees and are calculated on the basis of wages or salaries. Employers also match Social Security and Medicare contributions and are subject to additional taxes (e.g., the federal unemployment tax). In addition, self-employed individuals pay a self-employment tax, similar to the payroll tax withheld from most employees. For more details, see https://www.irs.gov/businesses/small-businesses-se... and https://www.irs.gov/taxtopics/tc751.html. 3 Adjusted gross income is defined as gross income minus some specific deductions and is the relevant figure for tax purposes. Taxable income is adjusted gross income less personal exemptions and itemized deductions. The average tax rate is computed as tax revenue divided by taxable income. 4 See Internal Revenue Service. 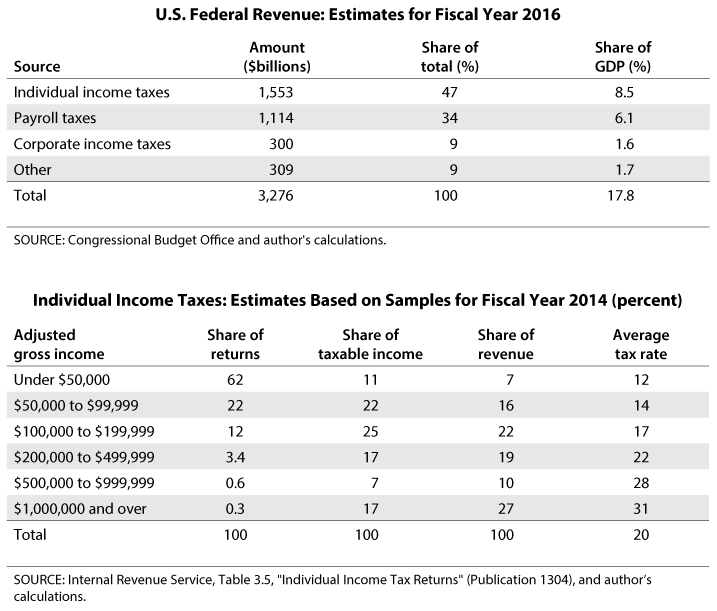 Table 3.3 in "Individual Income Tax Returns" (Publication 1304); https://www.irs.gov/uac/soi-tax-stats-individual-income-tax-returns-publication-1304-complete-report. 5 Note that very low income earners within this group are subjected to much lower tax rates.